When it’s hot as heckfire outside, an ice-cold beverage really hits the spot for most people; not so much when there’s a foot of snow on the ground. That’s why Coca-Cola has been testing a vending machine in Spain that charges a different price depending on the weather. The machines offer a Minute Maid lemonade beverage and were placed at water and amusement parks for the last two summers. While traditional wisdom might lead you to assume that the machine would charge more when it’s hotter outside, according to Supermarket News, the machines actually charged less when the temperature soared outside. At outdoor temperatures below 84 degrees, the price was $2.40. When the temp. increased to 84-85 degrees, the price dropped to $1.70. If it broke the 86-degree threshold, the machines only charged $1.20. Why the seemingly counter-intuitive pricing levels? 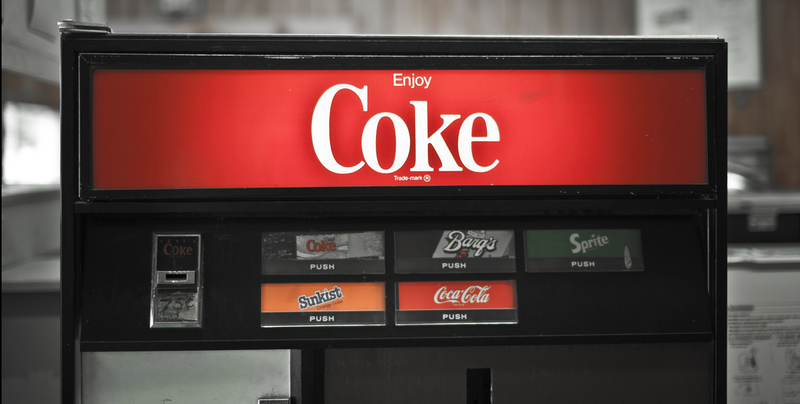 “The machines were designed specifically to increase trial of Limon & Nada as a thirst quencher in the summer heat,” a rep for Coca-Cola HQ explains to the Atlanta Journal-Constitution, adding that these machines have not yet been used in other markets.